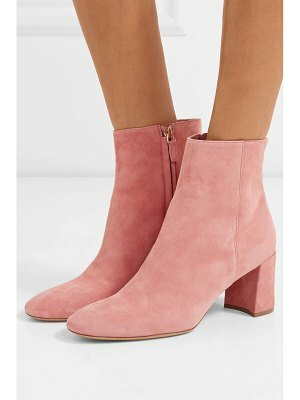 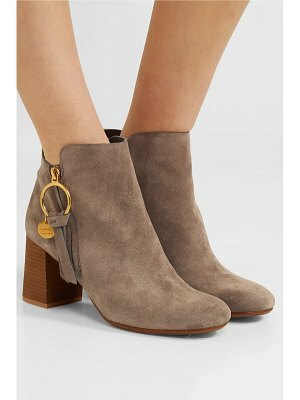 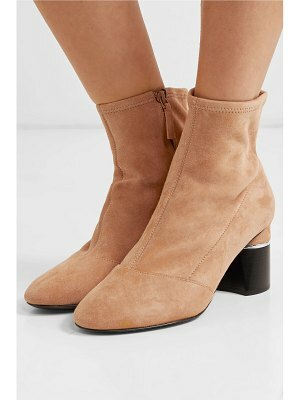 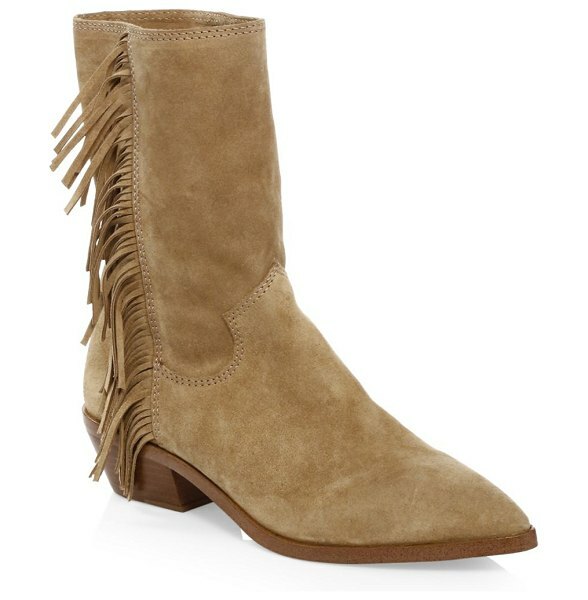 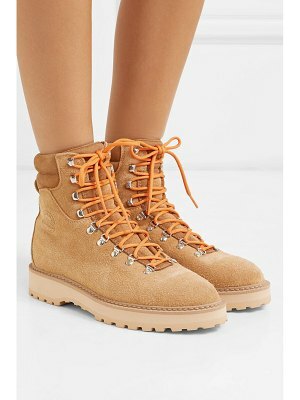 Western-inspired suede ankle boots with fringe details for the country or city streets Stacked block heel, 1.5" (40mm) Suede upper Point toe Studded details Pull-on style Man-made sole Imported. 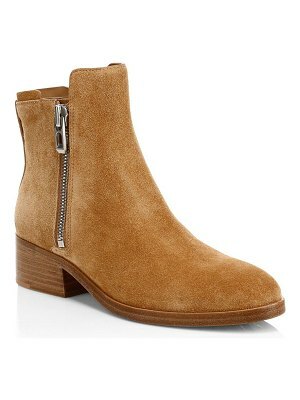 Women's Shoes - Contemporary Womens Shoe. 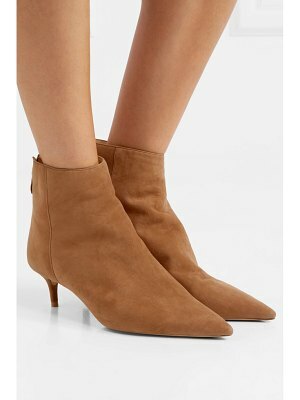 Rebecca Minkoff. 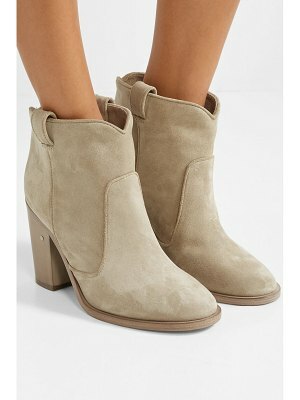 Color: Beige Split Suede. 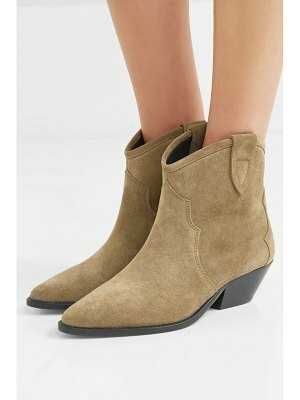 Size: 8.5.